The first step is to set up an initial discovery call, where you and your Success Coach will discuss your goals for this project, as well as review your group’s current scheduling process in detail to ensure that your Success Coach has a deep understanding of the process and your objectives. Your Success Coach will then set up and build a personalized implementation plan based on your organizational goals and your personal needs. This plan will include training your schedulers, getting your users onto the system, and any other goals you outlined during the discovery call. Welcome to Intrigma! We‘re happy you’re here. 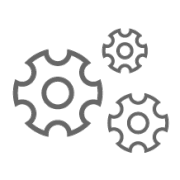 This is an overview of the typical process for implementing Intrigma’s Efficient Scheduler. Your Success Coach will be reaching out shortly to introduce themselves, and set up an initial call to discuss your goals, your process, and any questions you have before implementation begins. After the call, your Success Coach will set up the system for you and schedule a time to review it with you. who will work with you to make sure you’re realizing the full value of our system. 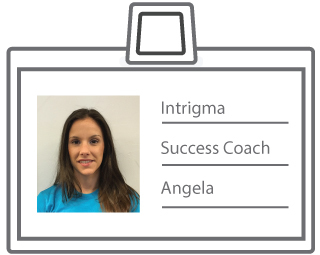 Our Success Coaches are dedicated problem solvers, armed with system knowledge and a passion for healthcare! Before you begin, your Success Coach will need the following information from you to help them to start setting up your system. In our next meeting, your Success Coach will review the system configuration to ensure everything is set up and working as you want it to. Additionally, you will discuss what is required before allowing your users to register their accounts so that they can begin submitting requests, viewing the schedule online, and making trades. 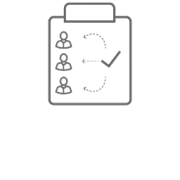 Once you’ve completed the items outlined in the last step, your Success Coach can help you to get your users registered in the Efficient Scheduler. 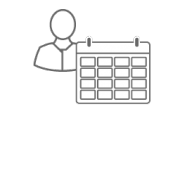 Once your users have been registered in the Scheduler, your Success Coach will train you on the tools used for building your first schedule. The next step is to begin gathering the rules that are required for the automated scheduling. By sending out a preference survey to your staff, allowing them to specify their preferred settings for some or all of their rules. By gathering the organizational requirements and personal preferences from the scheduler and department administrators. Typically, this is recommended only if the scheduler is familiar with all of the staff preferences, or if your group does not allow a lot of personal scheduling preferences for fairness purposes. Once you’ve decided on a method together, you and your Success Coach can begin collecting rules. Once you and your Success Coach have gathered the rules that you’d like to use, they will build those rules for you and generate an initial test schedule. Once that is complete, they will set a time with you to review the generation results and discuss any undesirable outcomes on the schedule. After that call, your Success Coach will revise the rules, generate another schedule, and set up another meeting to review. This process will continue until the generated schedules are realistic, and can be tweaked and completed for live use. 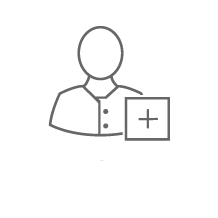 Depending on the subscription your organization has selected for purchase, additional instruction and training may be required to implement some of our more advanced features. Your Success Coach will determine at what point during the onboarding process you will work on these items.